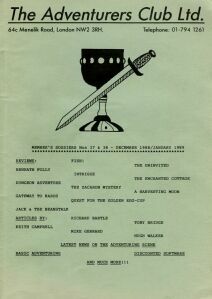 A British publication covering mostly home-grown mail-order adventure games, including hints, tips, strategies and reviews, similar to Questbusters in the USA. 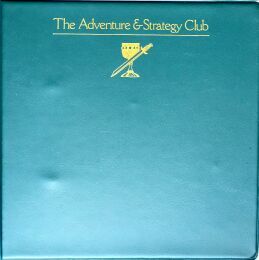 Originally this magazine started out as The Adventurers Club, Ltd. but later changed their name and restarted at issue #1 as The Adventure & Strategy Club in around January 1990. Issues were usually bimonthly and around 48 pages each. They also produced a nifty binder to hold all the later issues, which were organized into 'chapters' labelled A-Y to form a complete reference of adventure, strategy, simulation and role-playing games.